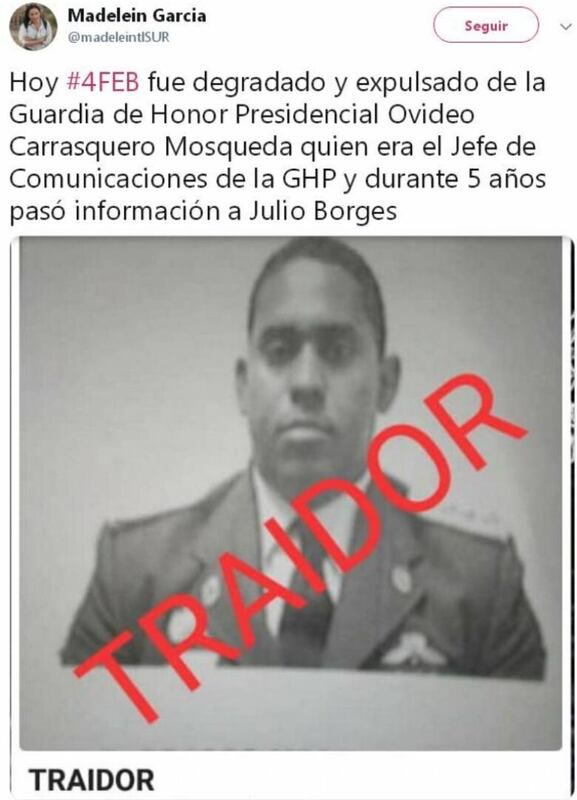 Thousands of Cubans live and work in Venezuela, many in the most sensitive structures of the Bolivarian state apparatus: the armed forces and the military counter-intelligence service DGCIM; Venezuela's secret police SEBIN; and among Maduro's inner circle and bodyguard. Their presence — and the perception that Cubans are calling the shots in the country — have led to widespread public anger against them in Venezuela, including calls on social media to ostracize them. So far, Canada has been reluctant to call out a government that Prime Minister Justin Trudeau called an "ally" during a 2016 visit to Havana. But Foreign Affairs Minister Chrystia Freeland says Cuba's role is "concerning." 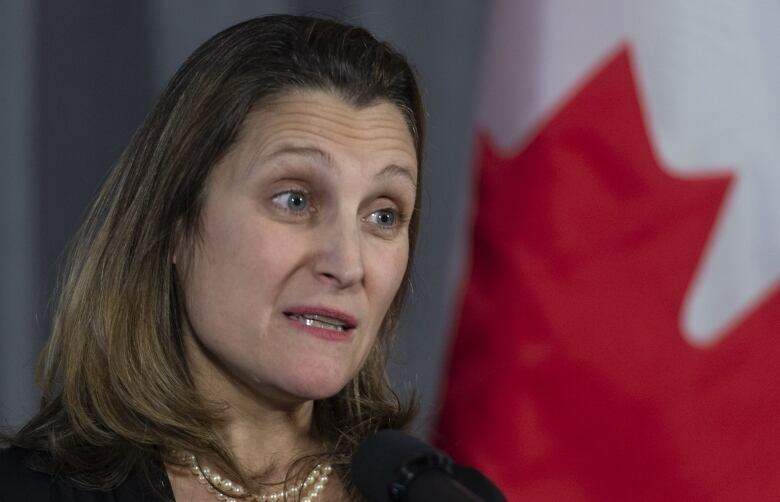 "The issue of the Cuban role in Venezuela was discussed at the Lima Group meeting in Bogota on Monday," she told CBC News. "We have heard directly from the Venezuelan opposition that they're concerned by the role that some Cubans are playing in their country." She added that Canada calls on Cuba "to allow the Venezuelan people what they have a right to, and what they deserve, which is for their constitution to be respected and for them to be able to have a peaceful transition to democracy." Venezuelan-Canadian Alessandra Polga, director of the Human Rights Observatory CASLA Canada, has been a frequent guest at parliamentary committee hearings on Venezuela and was consulted by the Canadian government last month prior to the Lima Group meeting. She says Ottawa's advocacy on Venezuela has been welcome, but the role of Cubans has been a frustrating blind spot. "On various occasions, we've raised and explained the lack of autonomy of the Venezuelan regime," she said. "The interference of the Cuban regime in decision-making in Venezuela is extremely well-known." There have been repeated warnings by OAS Secretary General Luis Almagro, Inter-American ex-presidents' group IDEA and Colombia's former president Andres Pastrana, as well as the most recent CASLA Institute report not only denouncing the presence of thousands of Cuban agents, "but also the fact that they direct centres of torture in Venezuela," she says. "It's contradictory that a country like Canada, so vocal in defence of human rights, and having sources on the ground in Venezuela, doesn't have more to say on this." Michael Lima Cuadra is a Cuban-Canadian historian and democracy activist who says the Maduro government partly has Cuba to thank for its continued survival despite deep unpopularity. "As long as the Castro regime is not held accountable internationally for its intervention in Venezuela, it's going to continue sending a private army of almost 15,000 intelligence operators, which are the ones responsible for Maduro holding on to power. "As a historian, I've never seen a Latin American dictatorship resist so much pressure from so many people. So the know-how of repression that's being exported by the Castro regime has to be confronted by Canada and the Lima Group. As long as that doesn't happen, Venezuelans are going to face two dictatorships in one." On Feb. 21, Maj.-Gen. Hugo Carvajal, Venezuela's former chief of intelligence and once the right-hand man of then-president Hugo Chavez, turned on the Maduro regime in a spectacular video statement, pronounced with the Caracas skyline behind him. After praising the army that once liberated Venezuela, he said: "It can't be possible that that same army, now in the hands of generals subjugated to Cuban commands, has become the main collaborator of a dictatorial system designed to afflict our people with misery." CBC News in Venezuela spoke to two former Venezuelan officers, recently departed from the armed forces, who said there was widespread discontent in the ranks at having to take orders from Cubans. Venezuelan military analyst Rocio San Miguel told CBC News there is also a longtime Cuban presence in the Strategic Operations Centre of the Venezuelan armed forces under the command of Admiral Remigio Ceballos Ichaso. Military sources confirmed to CBC News in Venezuela that Cubans are prominent in the hunt for "traitors" in the armed forces, which have seen hundreds of defections to Colombia since Feb. 23. Cubans are also in Miraflores, the presidential palace. Last week, Maduro lost his temper during an interview with Jorge Ramos of U.S. network Univision, after Ramos showed him video of Venezuelans grabbing food from the back of a garbage truck. He stormed out and his guards took over, locking the crew in a dark room and confiscating their camera discs. After they were deported from Venezuela, Mexican native Ramos and his Cuban producer Maria Martinez-Guzman said the agents who stole their interview were Cuban. 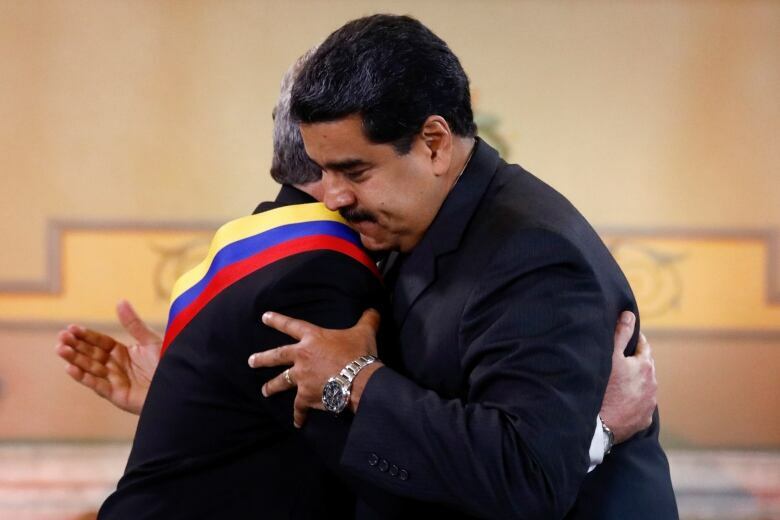 Indeed, Maduro has been forced into ever closer dependence on Cubans as defections by Venezuelans have reached right into the upper ranks of Maduro's presidential honour guard. "Cuba and Venezuela have always demonstrated that 'yes we can'," said Maduro as he sat down with his Cuban counterpart in Havana in April last year. 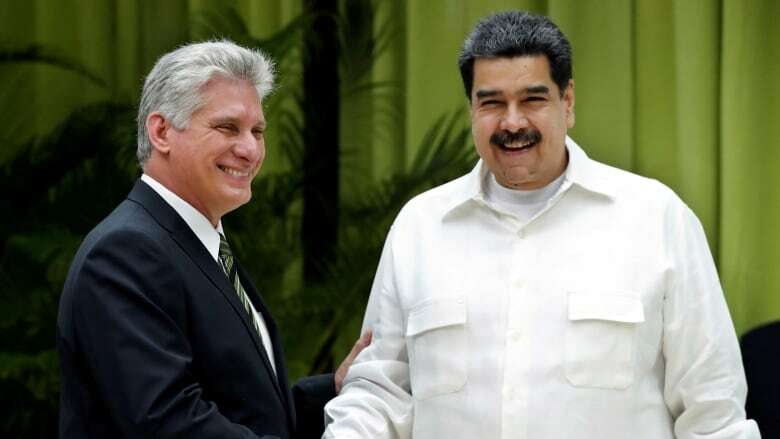 Maduro was the first (and one of the few) world leaders to visit Miguel Diaz-Canel as the first non-Castro took the reins of power as president of revolutionary Cuba. Thousands of Cubans live and work in Venezuela, and while some do work that is harmless or beneficial, such as doctors, others are at the heart of the Maduro regime's machinery of repression. The connection has a long history. The collapse of the Soviet Union in 1991 brought greater freedom to Eastern Europe, but to Cuba only hunger and hardship. The island's economy was built around exchanging Cuban sugar for Russian oil. Cuba's oil imports dropped by 90 per cent, leaving the country almost without gasoline or fertilizer. During the so-called Special Period that followed, severe food rationing caused Cubans to lose an average of 20 pounds. Today, Cuba has largely recovered from that hardship, and it is Venezuelans who are going hungry. Cuba lies less than 1,000 kilometres from Venezuela's oil heartland, and in the early '90s the Castros saw in Venezuela a political movement that might take the place of the Soviet Union. Thirty years ago this week Venezuela erupted in nine days of deadly riots known as the Caracazo, that began as a protest against austerity. In the aftermath, a secret movement of Venezuelan officers formed around a charismatic paratrooper called Lt.-Col. Hugo Chavez. Chavez leaped to fame in 1992 with two failed coup attempts, the second while he was in prison for the first. When Chavez was pardoned in 1994, Fidel Castro invited him to Havana. Thus began a relationship that would ultimately lead to a near merger of the two countries' security organs. In the late '90s, Chavez gave up on coups and decided to try the electoral path to power, which proved successful. Following his inauguration in 1999, he returned to Havana and announced: "Venezuela is travelling towards the same sea as the Cuban people, a sea of happiness and of real social justice and peace.… I appeal for the unity of our two peoples, and of the revolutions that we both lead." Tens of thousands of Cuban doctors and teachers crossed over to Venezuela in return for tens of thousands of barrels of Venezuelan oil delivered daily to Cuban ports. Thousands of Venezuelans were flown to Cuba for medical treatment. Critics have argued that Venezuela could have achieved a better return for its oil by selling it on international markets and investing the money in training its own people. But at least in the early days of "Cubazuela" there were tangible benefits for poor Venezuelans. In April 2002, President Chavez was himself the target of a coup. The attempt failed, but it increased Chavez's distrust of his own officers, and was the beginning of an ever-deeper dependence on Cubans to secure his government. Maduro's wife, Cilia Flores, a prominent member of Chavez's inner circle and today Venezuela's first lady, encouraged Chavez to draw closer to Cuba, and by 2008 her husband Nicolas, then foreign minister, declared, "We have become a single people, a single nation." Today, says Lima Cuadra, the symbiosis of the two governments is such that either one would have trouble surviving without the other. And so, he says, neither Cuba's new president, Diaz-Canel, nor his officially retired mentor, Raul Castro, is likely to listen to Canadian appeals to withdraw support. Global Affairs Canada's director for the Americas, Michael Grant, told a Senate committee last week that that has indeed been the reaction. "Recently, we held our annual discussions on a senior level," he told the committee, "and I can tell you that Venezuela was a topic of those discussions, with a view to sharing points of view and trying to find a common way forward. "Did we? No. We have a fundamental disagreement." CBC News asked Freeland if Canada still considered Cuba an "ally." "Cuba is a country with which Canada has a longstanding relationship," she said, "a relationship that includes tourism, and where there's a relationship with many Canadian businesses, and Cuba is a country where we have a relationship that allows us to raise serious concerns." Lima Cuadra says the Cuban Communist Party can't afford to give up on Maduro, and believes its fate may be tied to that of the United Socialist Party of Venezuela. "The Maduro regime supplies almost 50,000 barrels of oil to the Castro regime. Forty to 45 per cent of Cuba's exports go to Venezuela. So the Castro regime would be in major economic trouble if the Maduro regime collapses. "Ideologically, it would be equivalent to the fall of the Berlin Wall. '21st century socialism' would collapse. It would be the biggest international failure of the Castro regime. So on both fronts, economic and ideological, it would be a major defeat."